This product was a god send for me. I love exfoliating my face/body and would always feel frustrated when the advice on every product would be – avoid lip area! The lips are usually a good tell tale sign of how run-down somebody is, especially because of how overlooked lips usually are. So point being, working your lips can immediately give you an instant pick me up and give you that boost that makes you look well rested and hydrated, whilst everybody else ignores this area! It’s a secret weapon honestly! I am so confident to recommend this product because the impact of it is so immediate – you can see a visible difference from first use, with further benefits over time with continued use. This scrub isn’t like your usual slap it on and wash it it off. 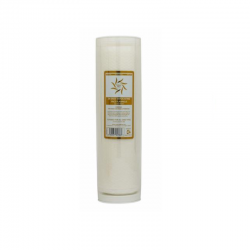 You apply it gently massagin in until all the product is absorbed and simply wipe clean with a clean cloth or flannel. I usually use the disposable flannels from the Naturyl Glow range for convenience. I cut them up into 4 small sections so I’m not wasting a whole flannel on just my lips and have linked them into the suggested products below. 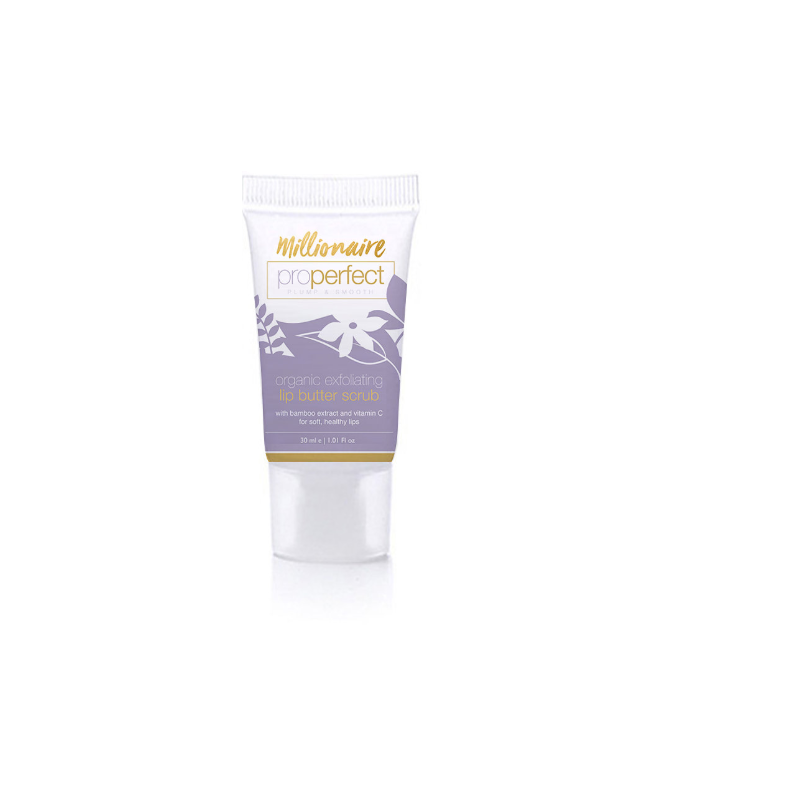 Take a small amount of ‘Millionaire Organic Exfoliating Lip Butter Scrub’ massage gently into lips using circular motions with your fingertips for a few seconds. Next, take a clean cloth and gently remove the scrub from the lips and following with the ‘Millionaire Conditioning Lip and Eye Treatmeant’. Our Lip Scrub is a gentle but powerful exfoliator, so I recommend using no more than 1-2 times a week. Vitamin E: Helps to lengthen and promote lash growth. Vitamin E is an incredible anti ageing antioxidant, perfect to give lashes a youthful strength. Organic cocoa butter (theobroma cacao): Because lips lack the protective outer layer and oil glands the rest of our skin has, they’re more susceptible to the elements. Cold, wind and dry air all wreak havoc on lips’ thin skin. Cocoa butter: a rich fat derived from the same beans as chocolate, helps alleviate this problem. The emollient properties of cocoa butter act as a protective barrier by supplying and retaining moisture in the lips and skin. Cocoa butter also contains antioxidant vitamins A, C and E, which can help slow the signs of aging. Jojoba butter (Simmondsia Chinensis): Jojoba butter is so beneficial for lip care because it is rich in fatty acids. It is full of oleic, lignoceric, and gondoic acid, all of which provide great hydration for the skin. And when they are applied on a regular basis, they heal dry and chapped lips. Organic coconut oil (cocos nucifera): Coconut is used in all of our products and for good reason. Coconut oil is a super ingredient which helps to prevent dry lips during winter. The fatty acids in coconut oil create a barrier and lock in moisture so that your lips remain free of cracks. Avocado butter (Persea Gratissima): The natural oils in avocado help to make lips pinker, giving them a more youthful appearance. Hyaluronic Acid: Being able to Hold 1000 times its own weight in water, Hyaluronic acid is the number one ingredient when it comes to anti ageing and helps lips look fuller and softer, all day long. Olive Squalane: Pure olive squalane softens the skin, improves elasticity, reduces signs of aging, and boosts cell regeneration. Step 3 – Peptide Daily Moisturiser & Eye Cream.